Utah Legislature’s website and your county clerk can help. OK, so “stalking” is a poor choice of words. Let’s say you’re aggressively engaging elected officials. Now, let’s get to the details of the hunt. Make no mistake: Elected officials can be wily game, but remember, if they elude you, don’t take it personally. The stretched-thin legislators have to juggle constituent meetings, committee hearings, floor debates, and study bills during the session. Additionally, many commute from home and (cue the violins) attend lobbyist-funded evening shindigs. That’s not to say legislators don’t actually snub people. But generally speaking, getting your message heard by lawmakers will require effort by you, the citizen lobbyist. It may be as simple as scheduling a meeting, or it may mean cornering the legislator in hallways, cafeterias or parking lots. Whatever is needed, this guide will help you accomplish it. Know your target. Start with your own legislators, which you can figure out, most easily, through your county clerk (find yours at Elections.Utah.gov/CountyClerks.html). Another option to getting your political footing is to find legislators sympathetic to your cause. Once you have figured out the appropriate legislator to target, try to schedule a meeting with them in their office (phone numbers can be found at the Utah Legislature’s Website. This is most effective early in the legislative session, when legislators have a little more time, but even then, the meetings will probably need to be early in the morning or later in the evening. If you need to talk to multiple legislators and can deliver your message in a short, concise soundbite, it may be easier to talk to them whenever you can catch them out in public. To do this, visit the Legislature’s Website and review floor seating charts for the House and Senate, committee assignments, and each legislator’s page that includes biographic information, e-mail addresses, office phones, and—most importantly—photos. Hopefully, you have the ability to tell a variety of middleage white males apart. (For a visual of pre-approved City Weekly approachable targets, read “Happy Mediums”). Now that you’ve selected a few targets, you’ll need to locate them on the Hill. The best places to spot them are in their committee hearings or during floor debates. Committee hearings are scattered around the Capitol complex but provide a great opportunity to grab a legislator in the hallway before or after the meetings. However, that also means you likely will be competing for their attention with other activists, seasoned lobbyists or news reporters. Contacting them during floor debates can be easier, although whether they will talk to you is really up to them. Floor action can be watched from the House and Senate galleries, where you can use the seating charts and pictures (committed to memory, right?) to spot your targets. Now, it’s time to meet the gatekeepers. If you’re trying to contact a legislator during floor debates, you’ll want to make nice with the first line of defense: the sergeants-at-arms. For the House, these will be some gentle old-timers wearing sporty green blazers, while the coats in the Senate are navy. Approach these men with a smile and ask for a slip, which you can then fill out to send a message to the legislator with whom you want to speak. Strictly speaking, the sergeants-at-arms simply pass the notes to legislators and guard the jar of salt-water taffys on the table next to the message slips, but if you ask them nicely, they may let you know if your legislator is around and, possibly, the best place to wait for them. They might even point them out to you when they do exit the floor, if you’re unsure of what they look like. The sergeants-at-arms may initially seem a little gruff, but with a kind word, they can be most helpful. Just don’t take more taffys than necessary. After sending a slip in to your lawmaker on the floor, stake out a spot outside the doors to the House or Senate floor and wait. Be patient, especially if the debate is on a controversial issue or a vote is taking place. You can commit to waiting for as long as it takes for one legislator, or you can hedge your bets and send in slips to multiple legislators. The risk with that approach, however, is that you will miss one of the legislators you want. 1. Introduce yourself: include your name, occupation, and if you’re a constituent. If you represent a larger group—club, nonprofit, blog, industry— mention that, too. 2. Get directly to your talking points and make them brief. Use facts, personal anecdotes or both. In the close of the pitch, ask for their position on the issue. Hear them out respectfully and don’t get defensive or argumentative. 3. If there is a difference of opinion, ask what the fundamental issue is for them. If they’re on the fence, this might give you information about whom else to talk to or how to better formulate your position. Even if they’re adamantly opposed to your position, understanding their motivation is going to help you lobby other legislators more effectively. Think of this as the part where you want them to help you help them, Jerry Maguire-style. 4. When finished, thank them for their time and give them any literature you might have. Repeat your name to them and let them know you’d like to follow up with them through e-mail or other means. 5. Walk away. Pick another legislator and repeat. Testifying at a committee isn’t as scary as it may seem, and especially for citizens, committees are great. Remember, you are not on trial for your un- American activities but just giving your opinion. Plus, it’s the only place where public comment is put on the record. First, visit the Utah Legislature Website to find the committee you want. Check the Website for the time and to make sure it hasn’t been canceled. Also, review the agenda to ensure that your issue will be heard. Be diligent, because meetings only need to be scheduled 24 hours in advance. Show up early to the meeting so you can ask the staff about how to be put on the docket and speaking rules, especially time limits, which are almost always under five minutes and often closer to two minutes. 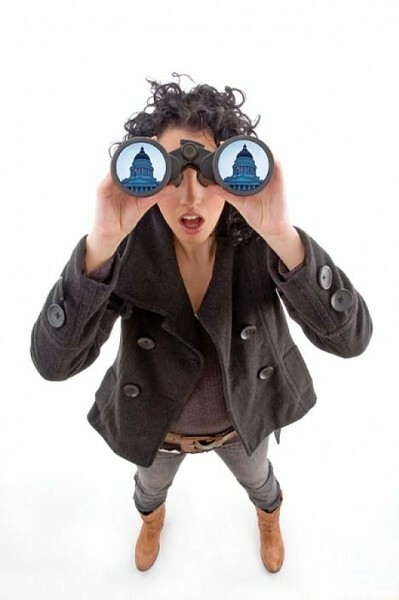 (Citizen lobbyists are often frustrated that so-called experts, who are quite often the paid lobbyists for an organization, industry or interest group, can speak ad nauseum.) If you have handout materials, make sure you have enough copies for every committee member and ask staff to pass them out. Just as with your remarks, you’ll want to keep your handouts concise: Think of bullet points as the ammunition for your argument. Remember, you’re not arguing before the Supreme Court. You are addressing elected officials who depend on your vote and your support to keep their jobs. Talk to them as your equal, which means don’t be intimidated but also don’t talk down to the legislators. Be polite, but firm. As citizen legislators, many understand what being a farmer, cop, schoolteacher or corporate drone means. Some are dyed-in-the-wool politicians. If you’re sincere enough, however, a pang of sympathy might resonate in their cold, aloof hearts. Either way, remember that your public servants are just that—members of the public but also servants of the public. Lastly, play it cool. If you’re passionate enough about an issue to go to the Legislature in the first place, it might be tempting to blow off some steam. Repress this urge. Instead, be civil: Address committee members by their proper titles (representative, senator, chairman), give your name for the record and disclose any group you represent, then quickly move into your presentation (remember: concise! ), concluding with a clear opinion on the bill in question. Stalking 2.0 OK, so “stalking” is still a bad word. But “aggressive engagement of elected officials 2.0” doesn’t have the same ring to it. Let’s call this advanced lobbying. If you’re having trouble pulling your legislators off the floor, be mindful of your surroundings. Where are the nearest bathrooms? What committees will your legislator be attending, either as a member or to present a bill? Also, check elsewhere on the Hill, such as the cafeteria, which is actually quite popular with legislators during lunch. Your best bet for getting the leg up on your legislator is thinking outside of the Hill. Events or speaking engagements that a legislator will attend outside of the Legislature are great places to talk to them. At a fund-raiser or lecture, they likely will have a moment where you can tug on their coatsleeve and introduce yourself—and if you have enough dough for floor seats, there’s always halftime at the Jazz game. Just realize that outside of the Capitol, and especially outside of the legislative season, there’s plenty of time and opportunity to make introductions.